CWM (ClockworkMod) recovery is something that might have the right to be called the most popular custom recovery for Android devices. While an official CWM recovery for your brand new LG G Flex is yet to be out, you can now checkout the latest unofficial CWM recovery from PlayfulGod of XDA. 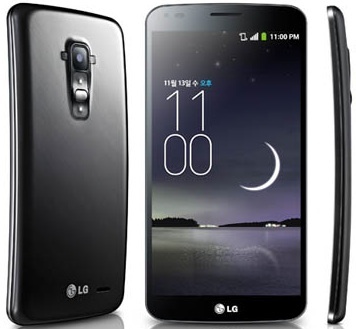 This guide will help you to install an unofficial CWM (ClockworkMod) recovery on your LG G Flex. Proceed at your own risk. Download the CWM recovery file (recovery-clockwork-6.0.4.5-swipe-zee.img ). Download and install ADB and Fastboot  on your computer. Download and install USB drivers  for your G Flex, if you haven’t already done so. Enable USB debugging  in your G Flex. Make sure that your device is charged upto well above 50%. Plugin the device to your computer via a USB cable. Make sure that you have enabled ADB debugging on your device and your device is being detected by your computer. Change the working directory of the command window to the directory where you had placed the CWM recovery file, recovery-clockwork-6.0.4.5-swipe-zee.img, using the command “cd directorylocation” without quotes (for example, “cd c:\lg”). Congrats! You have now successfully installed CWM recovery on your G Flex! Enjoy the taste of CWM recovery on your LG G Flex!